When my wife was pregnant with twins (during her first trimester) we traveled on a family vacation and flew across the country. The flight and trip really weren’t that big of a deal. We didn’t have any complications or problems. Sure, mom was a little more tired than usual at the end of the day but we were able to balance those needs just fine with our family. 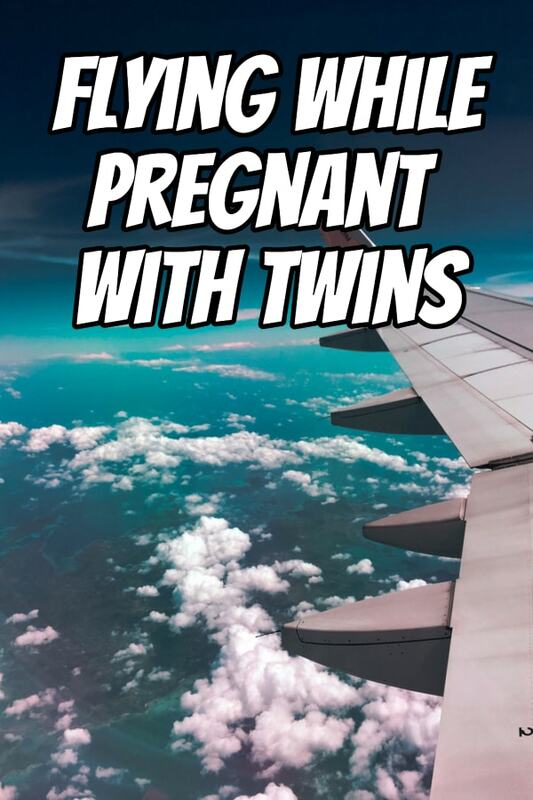 Can you fly while pregnant with twins? Yes. But not the entire twin pregnancy. Air travel is safe for pregnant mothers. If your doctor clears you for flying, your primary goal is to keep Mom comfortable and healthy on the trip. To ease your travel, make sure that Mom has an aisle seat so that she can get up and move around during the flight to stretch her legs. Ideally, she would get up to walk around every 30 minutes or so. For the flight, Mom should wear loose-fitting clothes and comfortable shoes. She may also benefit from compression socks to reduce swelling and help with blood flow. Mom should drink lots of water and avoid caffeinated beverages on the flight and throughout the travel day. How Late Can You Fly While Pregnant with Twins? Keep in mind that the later you progress in the twin pregnancy, the higher your risk of complications or going into labor, which could lead to an early delivery of your twins. Talk with your doctor about how late in the pregnancy he or she would recommend that you travel when you’re pregnant with twins. Your doctor will best know your current situation with your pregnancy, and any risks that you may be experiencing in your particular situation. You may want to consult with your airlines for any details that they have on their terms and conditions and what they may require of you when traveling while pregnant with twins. That being said, you should be fine traveling up to around the end of the second trimester, maybe around 26 weeks plus or minus a few weeks. You can travel for leisure in the first trimester just fine. Only travel out of necessity in the second trimester. 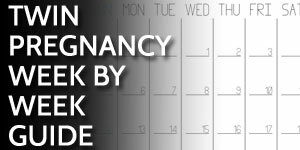 Stay home during the third trimester of the twin pregnancy. Make sure that wherever you’re going you will have access to good medical care when you land. Your twins may arrive at your destination and not necessarily back home with your doctor and the local hospital. Discuss with your doctor or midwife what you’ll do if Mom goes into labor while you’re traveling. Be prepared for that possibility. If the risks are too great, defer your travel until after the twins are born. And again, consult with your doctor about the best practices that you should be doing while flying pregnant with twins. I talk more about keeping mom and the babies healthy in Chapter Two of my book, the Dad’s Guide to Twins: How to Survive the Twin Pregnancy and Prepare for Your Twins.